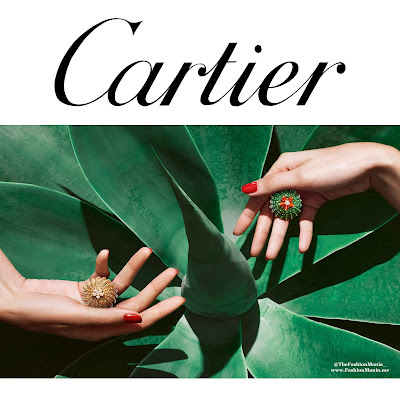 Luxury jewelry designer Cartier celebrates its year-old Cactus de Cartier line with this rooftop installation at its Fifth Avenue store. The top of the Cartier mansion will be lit by the colors of the Southwest, inspired by this cactus-themed collection. 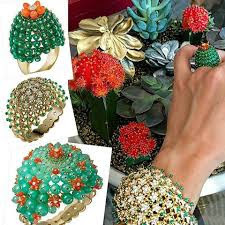 The jewelry line is displayed alongside orange and red hues, evoking the sense of a desert sunset, surrounded by photographs from Santa Fe artist Ja Soon Kim along with some real cacti.